Iowa Cities Broadcasting, Inc is part of the Ingstad family–owned radio stations and home to KMRS 1230 AM and KKOK 95.7 FM, is located in Morris, Minnesota. Our stations have thrived while serving news, farm, sports and entertainment needs of residents in a seven county region of west central Minnesota. With our resources, we have kept our listeners informed on local news, weather, farm and sports and provide a source for the latest state and national events. We continue to expand our coverage with the latest technology for on-line streaming and mobile apps, allowing our listeners to have a piece of home no matter where they are in the world. was begun by a newspaper owner 60 years ago and we have never lost sight of our central mission to provide the news that affects the lives of our listeners. 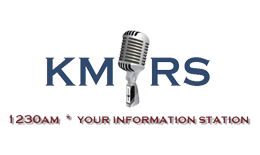 KMRS began broadcasting in September of 1956 and today is on the air from 5:30 a.m. to midnight. We focus on local news, weather, farm and sports. We also keep our audience informed with our national news affiliations with Associated Press, hourly updates with Westwood One Radio News, and the Linder Farm Network. Sports fans can also cheer on the Minnesota Twins, Minnesota Timberwolves, and our own Morris Area Tigers. brings back the memories with the “Kool Gold Hits” from the late 60’s to the early 80’s. KKRC is licensed to Granite Falls, Minnesota and is home for the local Granite Falls Yellow Medicine Sting Sports and the Hockey Excitement of the Minnesota Wild. 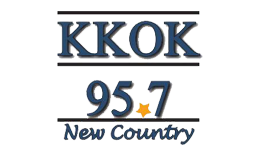 24 hours a day KKRC covers a demographic from young to old with memories and favorites for everyone along with local news and weather.